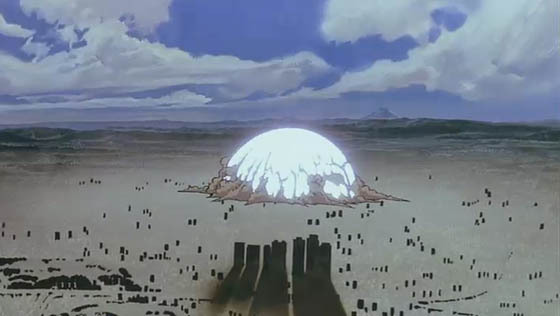 If any teacher should pick one shot to talk about with the students it should be this one because no other sets the mood so perfectly like this one when Tokyo gets totally obliterated by an atomic explosion. What do you hear? Nothing. During the whole scene you basically hear nothing – it’s disturbingly silent. And one shot later you are brought into the future after the apocalypse. Seriously, can it get any better than this to set the overall feeling of a movie? I highly doubt it. Would you think the following movie is a comedy? Of course not. This shot fits perfectly to start a movie which plays in a harsh, highly advanced yet dirty and unfriendly environment. And this silence…this silence throughout the shot only makes it more disturbing yet highly cinematic. I cannot forget this silence.